Tampa Bay Music Academy is delighted to welcome Cormac Kavanagh to our music faculty! 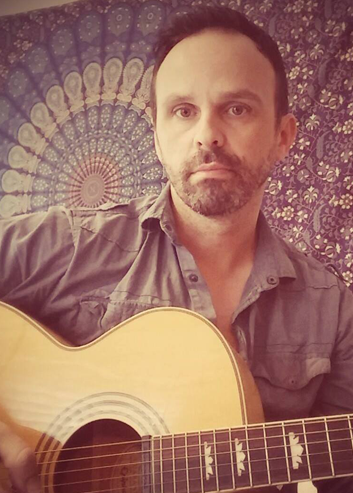 Cormac has twenty years of experience performing and teaching guitar and piano lessons to students at all levels of experience across a broad range of genres including classical, classic rock, indie, modern, folk, jazz, and pop. Cormac possesses a Grade 8 Distinction in classical guitar granted by the ABRSM (Associated Board of Royal Schools of Music, London) as well as a Distinction in jazz studies and professional musicianship from Newpark College in Dublin, Ireland (affiliated with Berklee College of Music). Cormac has performed with bands from a variety of genres as an electric and acoustic guitarist and main vocalist as well as performing harmonization and keyboard. From 2001 to 2004, he performed with the original jazz/funk band, “Defunkt” and spent his summers touring Europe as a solo performer. He also spent six years performing with 60s rock/psychedelic cover band, “Boomer” and Original alternative rock band “Duped,” where he was the primary song composer, and released numerous well-received EPs. Throughout his career, Cormac has taught guitar and piano lessons, engineered and produced recordings, and mentored budding singer/songwriters and bands. He worked as primary guitar teacher at prestigious Newtown School in Waterford, Ireland from 1997 to 2013, where his students enjoyed a 90% distinction rate from the ABRSM (Associated Board of Royal Schools of Music). From 2005 to 2013, he owned Jute Factory Studios in Waterford, Ireland where he taught lessons, managed a recording studio, created a system of piano instruction designed for pop/rock/jazz musicians, and mentored emerging musicians. In 2014, Cormac relocated to Tampa, Florida where he began teaching guitar and piano lessons for students age eight and up. He also performs as a solo musician at a variety of venues, from upbeat entertainment to upscale events. His experience in Tampa includes recording, engineering, producing, playing and arranging music; copyright of a simple system of piano instruction for all ages in pop/rock/jazz; and mentoring emerging talent. In his free time, Cormac loves cooking, especially Indian and Mexican food. He also enjoys dabbling with electronics and building/modifying guitar pedals and hot rodding electric guitars! TBMA: What is your favorite musical memory? Cormac: I was always interested in and surrounded by music when I was a child. I started piano lessons when I was nine and really enjoyed it. It wasn’t until I was twelve, however, and I attended my first Queen concert at Slane Castle that I really knew what I wanted to do with my life. They were awesome, musically amazing, and played such memorable songs. I loved it! TBMA: What is your favorite musical work that you have personally performed? Cormac: It’s hard to pick one because I’ve played in so many diverse bands and solo performances over the years. I do love to play the Cello Preludes 1 and 2 (arranged for guitar) by J.S. Bach. Another musical highlight was performing the music of Grant Green and Wes Montgomery with a band at a tribute night in Ireland. As a songwriter, it’s always a special thrill to play my own music which I do solo and occasionally with full bands. TBMA: What do you love about teaching? Cormac: I’m teaching nearly 20 years now and I enjoy it now more than ever. I can understand the frustration of both beginners and advanced students because I have been there too. It’s immensely satisfying connecting with students, giving them the love of music, and seeing them progress. It’s all positive. I wish I had a teacher like me when I was a kid! TBMA: What is your favorite teaching method? Cormac: Guitar has fewer recognized and proven methods than piano or violin. However, I do like the Julio Sagreras method, the Aaron Shearer books and I use these along with classics by Sor, Bach, Tarrega as well as the Segovia book of scales. I have my own method that I devised over the years for people who want to play rock/blues/jazz, etc. I don’t neglect theory, technique, scales, and arpeggios though. For piano, I use the Faber books with the Bastien book of scales and arpeggios and the Finger Power series for technical work. I work hard to instill sightreading skills using the ABRSM series, grades 1-8. TBMA: When do you recommend starting private lessons? Cormac: The sooner the better really, especially with a good teacher. If you’ve been playing a while and you’re at an intermediate level or even advanced, the right teacher can still help break bad habits and inspire you. TBMA: What brought you to TBMA? Cormac: I’ve been teaching a little in Tampa since I moved from Ireland and I heard great things about this school online. It looked very professional, great teachers and it all seemed very positive. Meeting John and being shown around TBMA just totally reinforced this and I’m looking forward to teaching here. We’re excited to partner with Cormac to provide quality music instruction to our students and their families. Welcome to TBMA, Cormac! This is a TBMA original article written for our Tampa Bay Music Academy readership by Susan McClure. If you find it to be helpful, we would love for you to re-post it on your blog. Please contact us first for permission. Visit our website home for information on finding a music teacher in Tampa, Odessa, Land O’ Lakes, Citrus Park, Westchase, New Port Richey, Lutz, Trinity, Keystone, or Tarpon Springs Florida who offers private piano lessons, guitar lessons, saxophone lessons, voice lessons, or music lessons in any other instrument proficiency category. TBMA teachers (piano, guitar, voice, woodwinds, brass, strings, percussion) pride themselves in a reputation for an uncompromising commitment to excellence and special care taken for every student. We remain absolutely committed to providing an outstanding enrollment experience beyond any other in the region. Call us today. We look forward to hearing from you! If you enjoyed this post from Tampa Bay Music Academy, please consider leaving a comment or subscribing to the RSS feed to have future articles delivered to your feed reader.